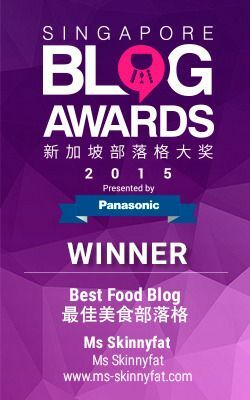 Ippudo is a well known brand for its Tonkotsu (pork based) Hakata ramen from the Fukuoka region. 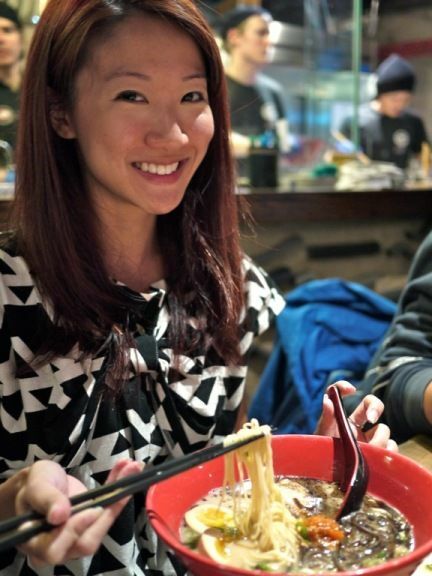 Since its humble beginning in 1985 with a small counter seating of 10, Ippudo has expanded to 43 shops throughout Japan, with outlets in New York, Singapore, and Hong Kong. 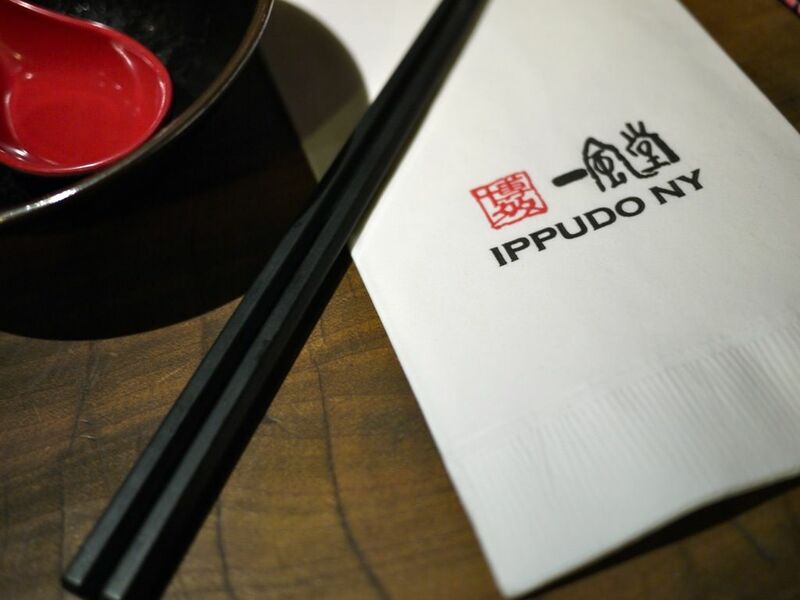 Ippudo NY is Shigemi Kawahara's first overseas venture and probably the best overseas outlet. 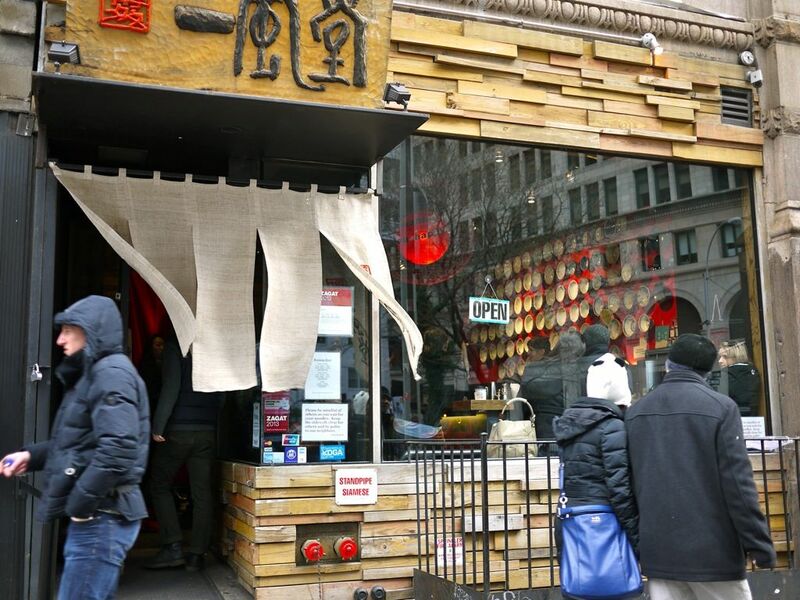 2 hour queues are the norm at this no-reservations restaurant and even in the bone chilling winter. The Singapore pales in comparison to the rich and flavorful broths over here at the 4th Ave branch in NYC. We were ravenous after that terribly long queue and proceeded to order immediately after being seated. Start with the appetizers, which are no way less attractive than the ramen. Hot favorites include the Hirata Buns- a slab of braised pork belly (of course) or chicken sandwiched between Ippudo's original spicy buns sauce and mayo (2pcs, US$9). 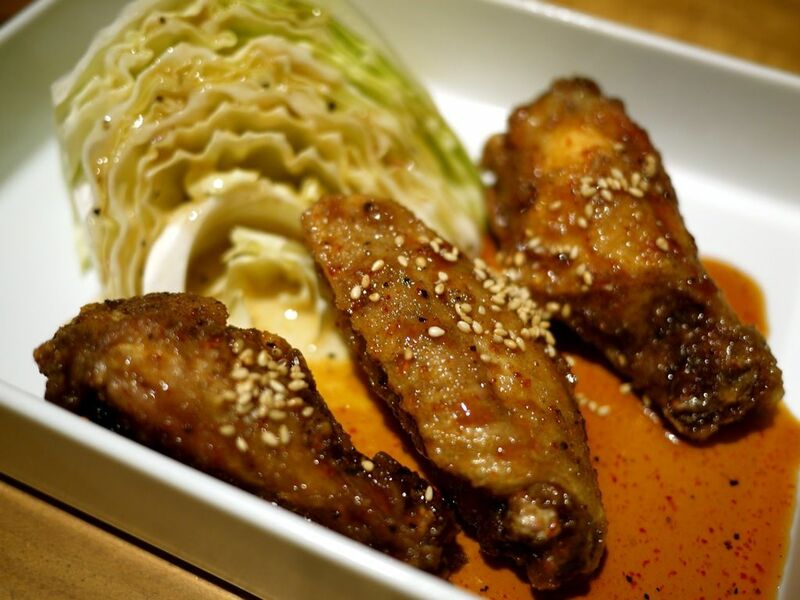 I highly recommend the fried Chickens Wings (3pcs, $7) which were marvelously crisped on the outside andglazed with Ippudo special black pepper sauce that is umm umami. The Tofu and Nasu Agedashi ($10) was satisfying as well though the tofu wasn't the silkiest. I like that the dashi broth isn't too bland like how some restaurants serve it. 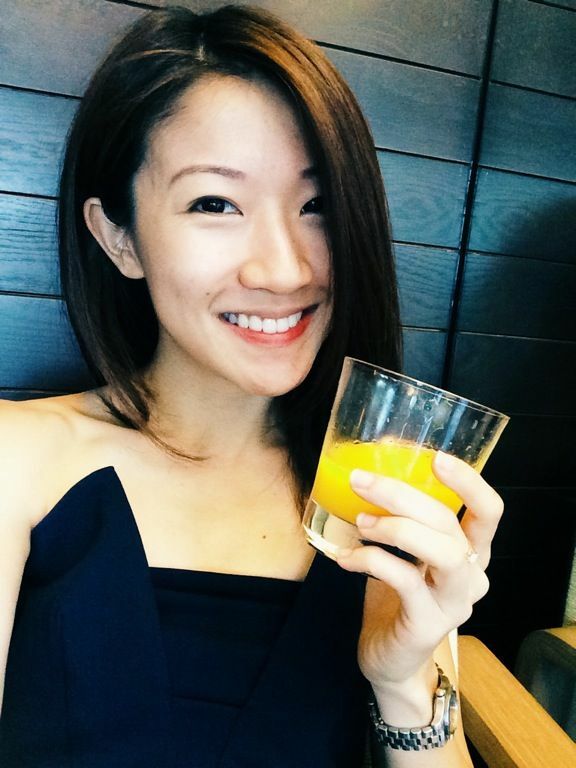 Honestly if i wanted something lighter i would order chilled tofu instead of fried ones don't you think? 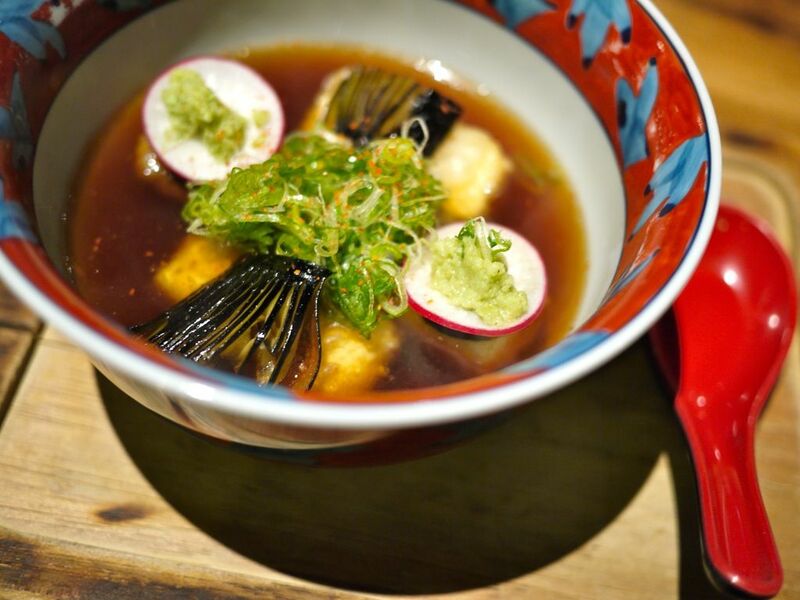 The scallions and wasabi provided a refreshing dimension and i loved the eggplant tempura that is served as well. My choice of ramen was the Akamaru Modern ($15). This is the original silky "Tonkotsu" (pork) soup noodles topped with Ippudo's secret "Umami Dama" miso paste, pork chashu, cabage, sesame kikurage mushrooms, scallions, and fragrant garlic oil. And boy, that had me slurping non stop for the next couple of minutes. 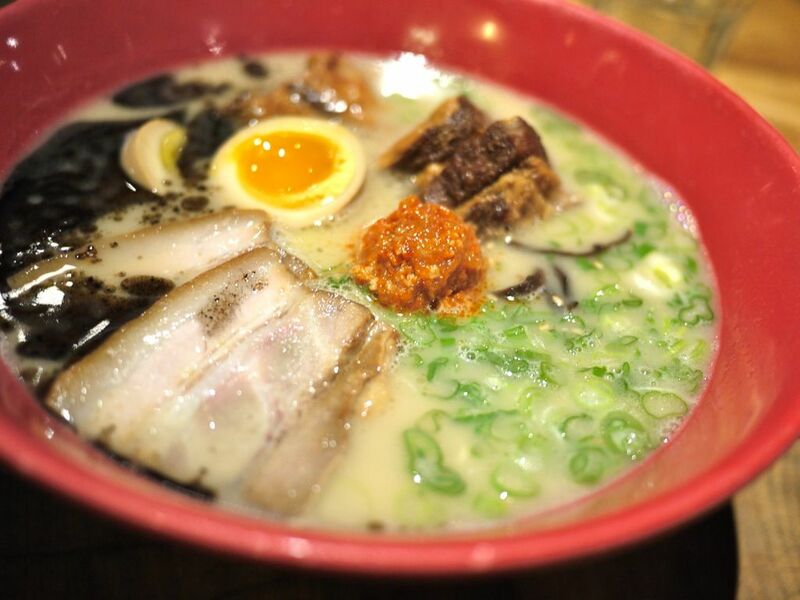 The flavors are rich and creamy without being heavy, which is what a good Tonkotsu ramen should be. Noodles may be a little on the softer side but not overly soggy. Your liking really depends on your preference. I'm not too big a fan of the Karaka Miso Ramen ($16). The soybean based Tonkotsu soup with the Ippudo special blend of hot spices would have been fine but once that bolus of ginger paste was happily stirred in by S (who isn't even a ginger fan), the soup tasted like the Singapore Chicken Rice Chili sauce. Too much ginger spoiled the broth. 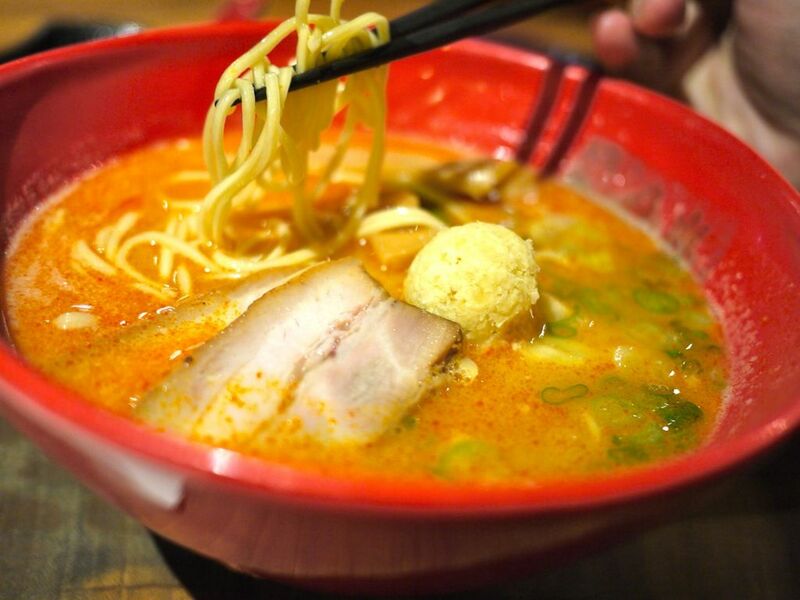 Top up your ramen with the delectable toppings. You gotta have the Nitamago (Seasoned boiled egg with running yolk, $2), Kakuni (braised pork belly, $4) a melt in your mouth stewed fatty pork and b ($3).